Having a sound content marketing operation is vital to the long-term success of any web-based venture. Without a steady stream of reliable information, entertainment and communication for your readers, subscribers and visitors, even the most fruitful of “vines” will quickly wither. Developing strong, engaging content can be a difficulty in and of itself, but having to worry about potential poachers makes the task much more difficult. 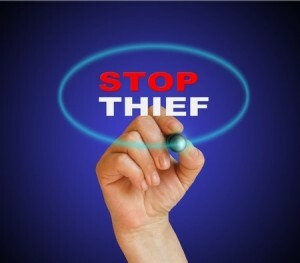 If you suspect someone has been stealing your content and re-purposing it as their own, then you will want to follow some of the tips outlined below in order to protect yourself. Sometimes, you can identify potential bots that are collecting your content via their IP addresses. Many bots will activate upon scanning your RSS feed and determining that there is new content available on your site. In order to block this, you can use the ‘RewriteEngine on RewriteCond’ command prevent bots from pinging a website‘s feed. While this will prevent any information from being transmitted to bots, but will not be enough to stop a dedicated human. Apache offers a great tutorial that will show you how to make these changes if you do not know how to already. Sometimes, we need a more sophisticated set of software to aid our eyes in what we cannot see for ourselves. Copyscape Premium will scour the internet, looking for instances of any input that you designate. You can either enter selected content individually, or use an option that will scan thousands of pages on your site and then search for any potentially plagiarizing material. There are a variety of other uses for Copyscape that simply make good business sense for anyone who is involved in content marketing, so check it out and see what else it can offer you besides protection from sneaky copycats. When you insert footers into a piece of content, blog salvagers will pull it – along with the rest of the content – and most likely duplicate it to a particular blog or website. While this in and of itself does not stop the act of plagiarizing, it does in effect give both you and the schemer a detente of sorts: if you use a footer that redirects or otherwise credits your site with the material, then you get credit and a link back to your site. For a pretty terrible scenario otherwise, this helps make the experience of being ripped off much more amicable and tolerable. One major solution to bringing your attention to the problem is using Google Alerts, which can be scheduled to always be pinging a website’s content, checking for duplicates and sending periodic updates to your inbox showing any related content that matches your specific criteria. If you input a title of one of your high-ranking blog posts, for instance, Google can alert you if any titles match it that appear on the first two pages of said search results. These updates can be scheduled daily, weekly or as it happens, depending on your exact preference.